At Granger and Hyslop Roads, the path would follow this corner to give the warehouse in the background a wide berth. A group of land owners along the rail line between Albany and Corvallis is determined to prevent construction of the Albany-Corvallis Bike Trail, but their stated reasons make no sense, at least to me. And if it comes to the point where eminent domain has to be invoked, I don’t see how their objections would make sense in court. There is no way that a narrow concrete path right next to the north side of the tracks would interfere in any significant way with farming or any other operation on adjacent lands. Yet, not only have some owners refused to negotiate easements with Benton County to allow the path to go through, but they have also pledged to hold up a county conditional use permit through appeals. And in case that fails, this week they asked the Oregon Transportation Commission to rescind the $2 million grant under the Connect Oregon program that was approved in August to pay for part of the project. As reported by Bennett Hall in the Corvallis paper, Karla Chambers of Stahlbush Island Farms, which has a warehouse on Highway 20, told the commission that the path “runs up the middle of many of our businesses, causing significant business hardship.” Really? The only warehouse near the proposed path is at 6425 Hyslop Road N.E., at the corner of Highway 20 and Granger Road. As published maps show, the path would skirt the corner by going north along Granger about 300 feet, then cross Granger at the corner of Hyslop Road, then follow Hyslop to rejoin the railroad tracks. It would no more interfere with the warehouse operations than the existing street there does. County records show that the warehouse property was bought a few months ago, on July 29, 2014, by Soda Mountain Broadcasting Inc., an arm of Chambers Communications of Eugene, which had previously sold its television stations including KEZI. (Bill Chambers of Stahlbush Farms was a board member of the broadcasting company.) The bike trail plans have been in the news for years. And if the farm thought its warehouse operations would be hampered by people cycling past, why did they spend $1.6 million to buy the place? Benton County has again pointed out the upsides of this project. The main one is that it reduces the danger of death and injury for cyclists — and motorists too — on heavily traveled Highway 20. As a side benefit the trail advances public health through more exercise for more people and maybe some marginal reduction in air pollution from motor vehicles. Are they gonna put the motorcycle path next to the bike path? We’re all gonna get our free special stuff, aren’t we? In large part Benton Commissioners created this mess by publicly threatening eminent domain. Property owners (and freedom loving folks everywhere) tend to get riled up when a government acts so arrogantly. Besides, I’m not sure the anticipated volume of usage justifies the expenditure of at least $2M of public money. Albany is not known to be a hotbed of cycling (except Hasso Hering). And I seriously doubt that the large population of cyclists living in Corvallis are clamoring to ride to Albany. It’s time for the commish’s to throttle back, stop the threats, do some fence mending, and seek a solution that is agreeable to every property owner. If they can’t do this, then the answer is pretty straightforward – no trail. But if mediation fails, she added, the county is prepared to initiate condemnation proceedings. “Then we would be left with no choice,” Modrell said. Did she say it? or not? Looks that way to me, Hasso. Condemnation never is threatened to begin with. The threat was made nonetheless. She said the words. I stand by what I wrote. Actually, we were told if we refused to agree to the county’s offer, Eminent Domain would be used. And they are not buying the land, they are proposing an easement which allows the county to get the land for 1/10 of the value they decide it is worth. Everything you have seen in the newspaper is based on the land use hearing in which the county has set the criteria for allowing this path in an EFU zone. In our opposition of this proposed use, we can only speak to the burden placed on our farms by a NEW public right of way where one did not exist before. We cannot speak to the need of the use or whether there is a better route that could be used. Also, the county chose to keep the landowners out of the loop until the last minute, used another county to do the appraisals and contact the landowners. In my case, no one has even bothered to tell me what they think my 4 acres that they will impact is worth. When the county says we are not willing to work with them, that is not entirely the truth either. When we first met with them as a group in December of 2013, I would describe their reaction to our concerns as complete surprise. They had no idea of any of our issues, and still don’t know how to mitigate the burden they will cause on our farming operations. We told the county we would meet with them not individually, but as a group so that no one of us would agree to something that wouldn’t work for our neighbor. As a group, none of us is against a Corvallis to Albany trail. In fact we are happy that Linn County is proposing a trail down Riverside Drive to Hwy 34 and connecting to the existing trail that ends at Peoria Rd. A path following Hwy 20 would not only have my support, but I would donate the land. I guess I am saying i don’t want this in my backyard, i want it in my front yard! I’ve been struggling a bit to find the right way to express my own thoughts on this thing and I will say this. I like the idea of a bike path between Albany and Corvallis. No question, a path away from car traffic would be nice. However, I also question the cost/benefit of this proposal and the potential number of users that will put it to actual use. But the rest of me agrees almost completely with Gordon’s Shadle’s view and on this, he also speaks for me. The arrogant threat by Linda Modrell to use eminent domain to subvert EFU zoning was WAY overboard and the bad feelings that have resulted are directly her fault as I see it. With that I found a compelling reason to speak against this project. Condemnation is not to be undertaken lightly and I don’t think this project rises to that level. Or is even close. There simply will never be enough users to justify condemnation for this project. Exclusive Farm Use rules are clear. There are alternatives if people care enough to push this through short of eminent domain. I would suggest that in the section of the path under dispute (as I understand it) is one where the highway right of way can be used and/or widened. I believe most of the disputed area is between Garland Nursery and Cheldelin Middle School where it would meet the stub started years ago there. Correct me if I’m wrong. Put the path along the highway from the nursery to Conifer. It’s not that far and nobody get put out then. Many of the same people (not all) that favor converting valuable farmland for this path would be aghast if anyone proposed EFU zoning be changed for ANY other reason. Linda Modrell brought the lion’s share of this dispute upon her pet project and she has nobody to blame but herself for the way she handled it and I for one am happy she has resigned her seat as a Benton County commissioner. She is the “heavy” in this deal, not the farmers. I’d be pissed off too. There was a letter to the editor of the GT about two weeks ago. It was written by Daryl Monk and he proposed the we look at the possibility of the trail taking a Hwy 34 route instead of Hwy 20. Any thought on this? I live in Corvallis, used to ride a lot to Albany (fascinating place to visit) until the perception of road danger got a little too much for me (especially Hwy 20, but even Riverside Drive has fast traffic and narrow shoulders, and Hwy 34 is grotesquely unpleasant and ugly). The worst part (eastbound, at least) is from just east of Hyak Park to where you can escape to Thornton Lake Drive. About 1 mile. Somebody will be killed on this section one day. HH, you’ve got my support. It’s frustrating that this has become a bicycles versus farmers debate, but if Stahlbush (etc.) wants to throw down the gauntlet and threaten litigation, then I’m fine taking my business elsewhere. It seems pretty clear that the path will get built. This is a good thing. There’s really not a legal argument against condemnation except “our butts are hurt.” $2M isn’t a ton of money, but it’s probably enough to finish this project. Also, it’s pretty clear that the Modrell “threat” mentioned above was in response to a reporter’s question on the topic. While HH’s phrase, “condemnation is always in the background when a public agency wants to acquire property” would probably be more diplomatic answer than “we have no choice.” But it’s a semantic’s issue. Also, Modrell, as good of a public servant to the county as she was, isn’t going to be there to kick around any more. I’m constantly amazed by people who make comments, but haven’t bothered to research the facts. The $2M is absolutely not enough money to finish the project. Hasso–I know you have been pushing this for a long time. Your pushing does not override objections of property owners. I’m happy to see 1/17 ADH report that Ed Schultz has been engaged to represent those who don’t support the project. If this ever comes to a vote of the people–it will be rejected. One can only hope the new BC Commissioner will move away from the project as a non-essential use of public monies. Modrell is the one who pushed thru the BC Ordinance placing restrictions on Church expansions in Urban Residential Areas on 30Dec14. She did not even have the courtesy to allow the new BC Comm. to vote. Perhaps the new three members of BC Comm would overturn that 2to1 vote also. 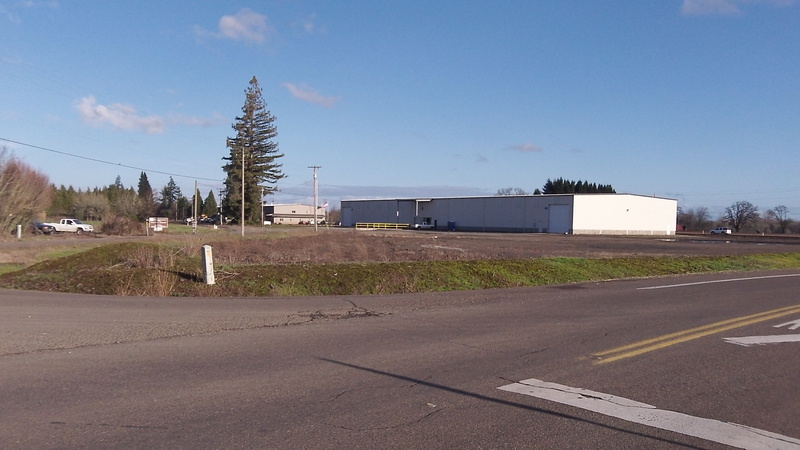 Has a cost/benefit study been done on this proposed bicycle path between Corvallis and Albany? I would be interested to see what the per rider cost is projected to be, including long-term maintenance. My reason for asking this is because I drive around Albany streets on a regular basis and see few bicycles on them even in summer, but most particularly not in the long winter months. It appears an absurdity to spend public monies on this project, although undoubtedly it will benefit those few self-serving people who are advocating it. I would, by the way, have no objection to building a path if its advocates will take the honorable route and obtain private support and funding. Leave the farmers and their property in peace. They provide a far more valuable service to our community, and for that matter, humanity, than a bicycle path would. Condemning their properties for such a purpose would be reprehensible. The county has admitted that they haven’t done any cost evaluations for different path locations. It could be less expensive to build it elsewhere. While the bicycle path issue opens many areas of discussion, I want to speak directly to the eminent domain issue. One of the great draws of those that came to America in the 1700s was the possibility to own land. In addition, the Homestead Act of 1865, which provided for nearly free land, fueled in part the movement west. Thus, it is my opinion that the ownership of land is at the core of who we are. I realize that the 5th and 14th amendments to the Constitution provide for eminent domain as wells as Oregon’s ORS Vol. 11 Chapter 456. Just because the law allows something does not make it morally right. It is my opinion that the government should not have any more rights to take land from an individual than an one individual has the right to take land from another. The suggested path would be constructed of asphalt and not concrete. The farmers currently use the alignment for farm related uses. Much of the alignment is placed over established farm roads. The county has said at the last hearing the farmers would NOT be able to use the path for farm vehicles, which is a change from the earlier hearings and the claims made in the county’s application. To put it bluntly, the county’s public works director is a waffling worm. If the farmers can’t use the path, then their farming practices will be impacted. They will need to construct new roads and remove even more high value farm land from production. This is where EFU zoning protection kicks in. The path needs a special use permit to be allowed in EFU zoning, but it is a conflicts with the allowed and protected use. I would love to ride on a bike path between Corvallis and Albany, but this is not the best location. Sure it would be nice, but not at the expense of these farmers. I am very much in favor of a bike path between Albany and Corvallis but don’t feel that the county chose the best location for the path. They also have not considered the importance of the loss of high quality farm land in their chosen route. There is space to put the path next to highway 20 in existing public right of way. There is also an already approved and funded Willamette Valley Scenic Bikeway connecting Albany with Corvallis along Riverside Drive and Highway 34. You can find it on Google Maps. Construction is already underway for this route which did not involve condemnation of farm land. Much of the proposed route is irrigated class one, or two farm land, some of the most productive land in the state. The land I will lose is class one and two soil, that was converted to organic production starting in 1990. The land they want to condemn has Exclusive Farm Use zoning which protects high value farm land from uses that are not compatible with agriculture. There are many conflicts with having a bike/pedestrian path through high value farmland. The path will restrict access to fields that currently share the buffer between the railroad and the field for all weather access. It will divide our farm in half with 20 acres on one side and 23 acres on the other. We will lose 6 commercial greenhouses. Though 99% of path users are extremely respectful of their surroundings, there remains a great risk for theft, vandalism, trespass, and liability issues from the other 1%. A route along highway 20 would avoid the needless condemnation and destruction of some of the states best farmland. Thanks for listening. I would be happy to answer any questions, if you have any. Dear HH. The thing ticks me off the most about this proposed project is folks like you who don’t know anything about farming telling farmers what will and will not harm a farming operations. Have you ever even farmed a piece of dirt other than maybe your garden? The powers that be in the 70’s created EFU zoning for a very specific reason – farming and farming practices and public activities are not compatible. This is clearly stated in the law that created EFU over and over. I am sorry that you don’t get this and don’t have the expertise to even discuss this issue. And by the way farmland and farming operations ARE a business and when a 20 foot path goes through the middle of it is totally disruptive. Maybe we should put a bike path right through the middle of GT’s building and see how you feel. I have been at every hearing and have yet to see you at any. Get the facts and understand the issue. Mr Hering, I always thought your editorials were well written and facts well researched before published, whether or not we were in agreement. The farmers have researched and addressed the conditional criteria chosen by the County to prove this path should be allowed over protected EFU land. It has not yet been proven. If the permit conditions cannot be satisfied, the proposal should be denied. A decision, with far-reaching impacts like this one, cannot be determined by wants and emotions. If an un-allowed use of protected Oregon EFU land is approved, you, too, should be concerned that county or state government could overstep other established rules for any purpose. When the issue of eminent domain is considered as an end game, equitable negotiation may not be used. We were one of several farmers who did receive an offer with a 40 day response deadline. When asked if eminent domain would be employed after the 40 days, Linn County Assessors replied in the affirmative, it has since been confirmed by a former Benton County employee. In addition to other issues, farmers would continue paying taxes on the path easement which we cannot use and pay for increased liability insurance to protect our farms. The farmers also want a safe pathway, a better route can be found. Would you intentionally bike through a busy industrial area? This proposal is just that.